To read the story from the beginning, come back to the fork or one step back. I really decided to dedicate myself to games. They are interesting, they educate, games are interactive stories where you became the main hero. Games is my main thing! I poured coffee into a cup and enjoying the aroma of it went to the room where Gurohide was waiting for me. - I decided to play another game with you but now I’ll tell you what you do, are you agree? - The girl smiled and nodded. - What are we going to play in? - I offer to try the game “Mirrors Edge”. 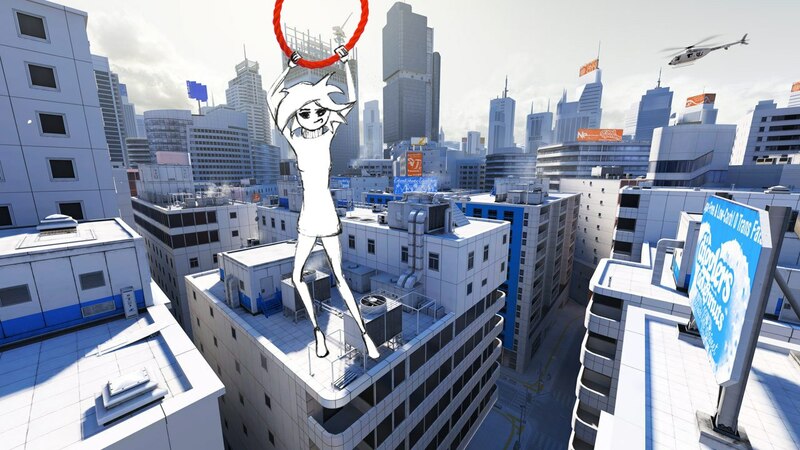 This is the dynamic game and it tells about the world of parkour and the most important thing the main character is a girl. Will you be that girl? - Yes, let’s download the game and we’ll see your world of parkour, - she answered. - I moved the tag of the game closer to her and she caught it. The music began to play and the game started. Oh… It was really cool. I didn’t noticed how time flew. When I finished the game I had such feeling that I could go to the balcony and ran on the roofs far away. - Thank you for the game. It was very cool. Let’s repeat it tomorrow? - I told to the girl. - Thank you, it was really great and special gratitude to you that I wasn’t killed too often in the game. - She answered. - You want to repeat? OK, but this time I’ll tell you what to do. I smiled, wished “Good night” to Gurohide and went to bed.